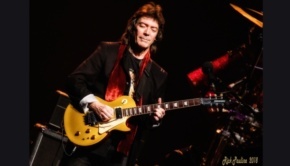 I’ve long been an admirer of Steve Hackett and highly respect his work ethic, his commitment to music and his affable nature. This new album continues that pleasure as I am pleased to report that it carries on from where 2017’s The Night Siren led, taking his music to new heights and in new directions. This is very much a rock album but is heavily influenced by and uses world music to broaden Steve’s musical palette. 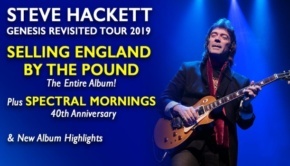 It also contains one of his longest ever songs that will surely prove to be a highlight of his forthcoming shows, but let’s start at the opening track, Fallen Walls and Pedestals. It begins with orchestrated parts merging into a gentle acoustic solo piece with heartfelt vocals and a very moving orchestral refrain with strings before returning to acoustic guitar and more vocals. A great sax solo from Rob Townsend follows, taking the melody and mournfully replaying it with passion, then in comes that guitar sound that just soars and is full of emotion. Steve is clearly on fine form on this album as there is a lot of guitar, plenty of runs and flourishes and fills that crop up throughout. There is also a driving beat to many of these tracks and this is a great opener that sets you up for the next 50 minutes of an interesting musical journey. This song is excellent and moves along briskly with great performances from all. Beasts in Our Time, a cleverly reworded take on Neville Chamberlain’s “Peace in our time” speech of 1938, sees Steve drawing comparisons with that era in the re-emergence of the isolationism of those dreadful days. This song has a great guitar line running through it and is again another very fine piece of work. More fiery guitar features amongst the swirling keyboards and programming of Roger King and the moodier, mournful and plaintive sax from Rob Townsend. The driving beat prefaces a brief but excellent solo, with lots of hammering on and tapping being employed tastefully, as is always the way with Steve. A great track, very powerful and memorable too. Under the Eye of the Sun is another fine track with great atmospherics that summons imagery of the rocks of a desert wilderness. The mid-section portrays a dark cavern using Gulli Brien’s drums, Rob Townsend’s duduk and the digeridoo of Paul Stillwell to great effect alongside John Hackett’s flute, leading us back into the sunlight with fiery guitar from Steve to conclude. Underground Railway showcases Durga and Lorelei McBroom, of Pink Floyd fame, whose moving vocals express the suffering of slaves in America’s Deep South. This is a very emotional and moving song that talks of how slaves were led to freedom along the rails of this underground railway. It deserves to be widely heard and applauded for handling a difficult issue with dignity and compassion, featuring Steve’s mournful harmonica which gives a haunting and evocative feel of those long-gone days. Again, great performances by all, this is a song that will stay with you long after the album has ended. The next track is the epic and most excellent On Golden Wings. This is primarily a love song from Steve to his wife Jo, opening with an orchestral nod to Tchaikovsky. More heartfelt vocals as Steve sings of Jo’s younger days, how she fought for the things she loved whilst never being a part of the crowd, following her own path “with a deeper love that shines through you”. The song talks about the struggles she has gone through that make her the woman she is and why she is so loved. It is a very sincere and emotional song with lots of embellishments that make it musically strong, the mix of orchestrations and acoustic guitars, tinkling bells and choir sounds all being used to magnificent effect and featuring a truly spectacular guitar solo to conclude matters. I feel this song is a throwback to the Wind and Wuthering era, but whichever way you view this, it is certainly a very interesting and accomplished song with stellar performances from all once again. Shadow and Flame highlights the exemplary sitar playing of Sheema Mukherjee which gives the song a raga-like sound, and with ethnic percussion gives the sound a very Indian nature, not that you’ll hear anything this strong in your local Indian restaurant though. This is a shorter song inspired by Steve’s trips to India and his love of Indian culture and music, with move great drums to drive it along potently. 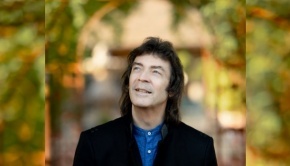 It is followed by The Hungry Years, a duet between Steve and Amanda Lehmann that has a 1960s vibe to it, Steve recalling his early years and the music that influenced him. Great vocals from Amanda make this is a very catchy song indeed with a rocking end segment that really makes the song come alive. Steve’s fantastic playing features very fast legato lines and flurries plus more tapping. This is very impressive stuff indeed. 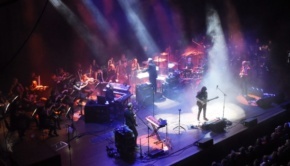 The final three tracks taken together form a mini suite, starting with Descent, an instrumental with orchestra and a fine guitar line, Steve playing off the orchestra and using chords to cleverly define the descent in question. After this comes Conflict, another shorter piece but no less impressive as more fierce guitar interplay comes to the fore, evoking imagery of conflict and violence. Then ultimately a broken silence as we enter into Peace with a piano and voice followed by a mass of voices alongside Steve’s. There’s good use of reverb to give a sense of depth as Steve sings of destiny and of hope for these days in which we live. 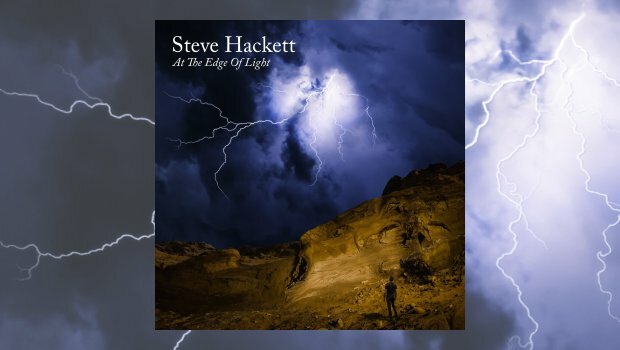 Featuring another emotive and brief solo from Steve it’s a fabulous conclusion to this trilogy of songs and a fitting and optimistic outcome to a very emotional and thoroughly rewarding journey. I have to say that I have become totally enamoured and captivated by this magnificent album which will surely be a top ten candidate for this year, certainly it throws down a weighty gauntlet for others to match.